Expanding the seating availability in your entertainment or dining space has become much less complicated with the Shapel 29" Barstool Collection. Offered in dark cherry finish with black faux leather seat. 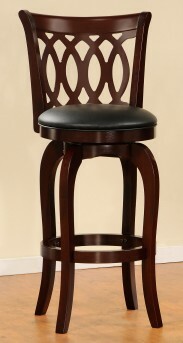 The varied designs of the barstool backs allow for placement in a multitude of design settings from casual to formal. Comes in Padded Back, Design Back and Wood Back, also available in 24" counter height. 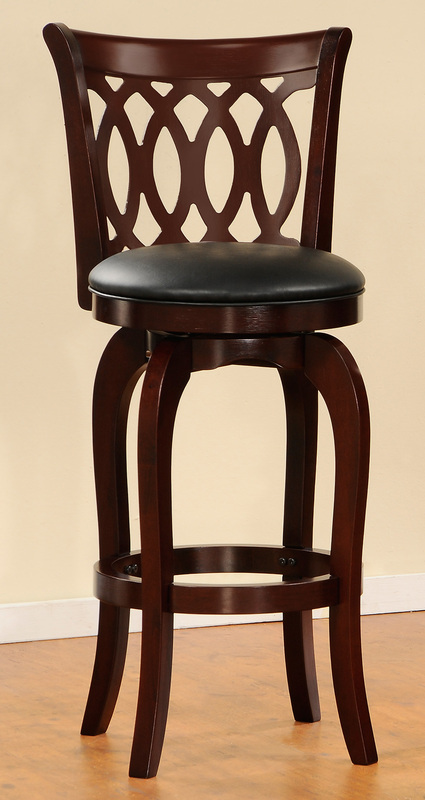 Furniture Nation is proud to offer the Shapel 29" Design Back Barstool online. We serve customers across the DFW region including Arlington, North Richland Hills, Frisco and many more. 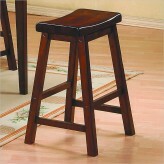 Shapel 29" Design Back Barstool : L19" x D20" x H43"